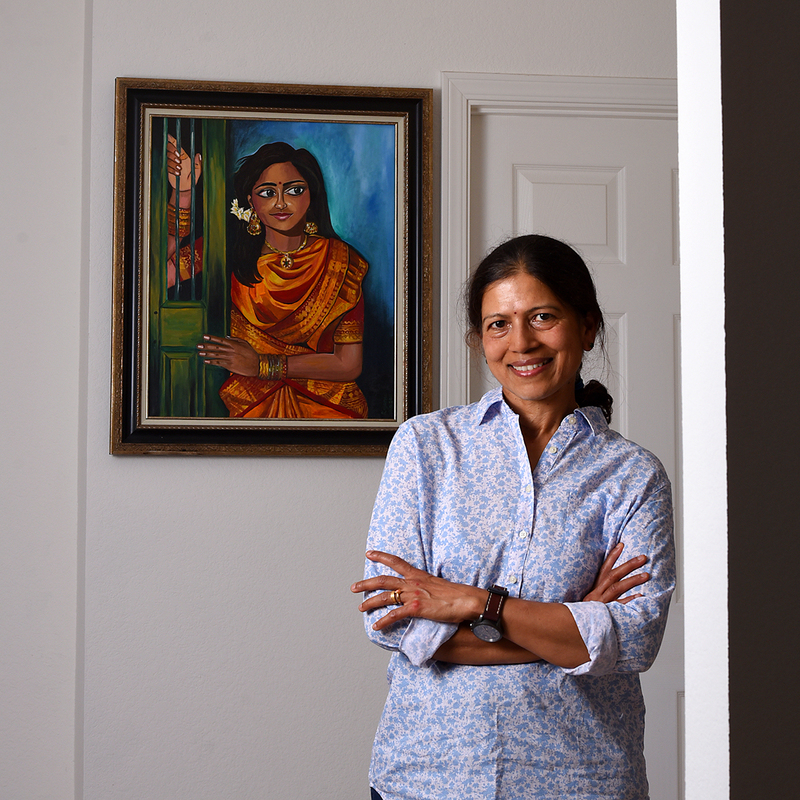 Middle school chemistry and physics teacher Rajasree Swaminathan has found balance in her life. Firmly planted in the STEM world, first as an engineer and then as a teacher, she has an equal passion for art, sketching and painting to relax, rejuvenate and deepen her teaching. Justly proud of many things, Swaminathan revels in her volunteer work with art and pediatric cancer organizations, her Harker students, and her son, Ashvin ’13, a Harker valedictorian and Harvard graduate. Respect all, fear none and compete with only oneself. The “fear none” part is hard to do. What gives you a reason to smile? Health. Being a cancer survivor and having retinoschisis in one eye, I’m into smoothies, super foods, supplements and exercise. What is something you would love to do so much that you would be OK with failing at it? One of my dreams is to write illustrated science books with which I can teach young kids basic science concepts through pictures. I have started by illustrating chemistry elements as female characters. I’ve already completed the illustrations for 22 elements; 96 more to go! Where is the one place in the world that you like to escape to? My home, where I can quietly sit and paint.